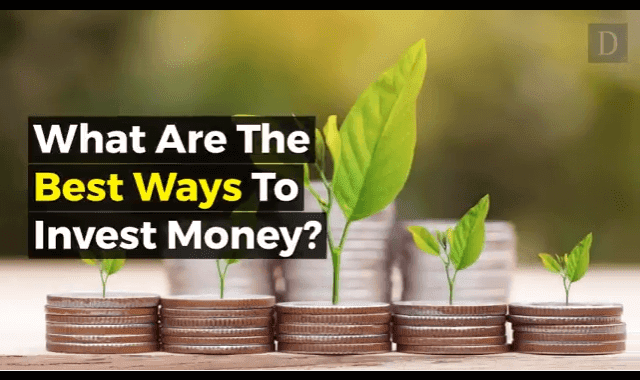 What Are The Best Ways To Invest Money? #Video ~ Visualistan '+g+"
Are you thinking where to invest the money you have at hand? Perhaps you got a raise or you just recovered some long-awaited money. Either way, instead of spending this money, you will be better off investing it. But you can’t just invest money anywhere and expect it to bring you large returns. You have to be very smart about investing. Keeping all risk aside, if you are living from paycheck to paycheck and you dealing with fatigue on a daily basis, it’s high time you invest those extra Dollars you have. Sure having more money to invest would be ideal but it doesn’t have to be that way. Even if you can invest $100 and make $200 out of it, you can continue investing $100 and spend the remaining $100. Start small, use different strategies and track your progress.